Rotorua athlete Sam Osborne sprints out of the water at Xterra Taiwan. Reigning Xterra Asia-Pacific Tour champion Sam Osborne has started his title defence with a hard-fought silver medal at Xterra Taiwan. Xterra Taiwan doubles as the annual Xterra Asia-Pacific Championship and the Rotorua athlete finished second in 2h 30m 56s behind South African Bradley Weiss (2h 29m 6s) and Frenchman Brice Daubord (2h 33m 44s). Osborne and Weiss spent much of last season battling for the top step on the podium in Xterra events all over the world and it appears this year will be no different. Osborne says a strong field of swimmers meant there was "a fair bit of jostling and clashing before everything settled down," and he managed to work his way to second place. Having spent time training together in the past, Weiss was well aware of Osborne's running prowess so worked his way to the front on the bike and dug in. The 2017 Xterra world champion posted the fastest bike split of the day (1h 14m 14s) and headed out onto the run with a two-minute lead on the Maxim Chane and 2m 30s on Osborne. "I felt great on the run, which is essentially 2km up, 9km descent and 2.5km flat," Osborne says. "I had a real go on the descent, a few very sketchy moments and risked the life of my ankles, but managed to pull the gap down to 30 seconds. But I'd burnt my legs too much on the downhill to bridge the gap and it ended up going out the other way. "I didn't have too much mapped out before [the race], I knew how important it was going to be to be at the front of the swim and put the pressure on early. Brad was always going to be one of the big play makers, and we both knew we needed to deal to the Frenchman early on. "Brice [Daubord] is the fastest runner in our sport so it was vital to get away from him and burn his running legs otherwise it often won't end well in a foot race against him." Osborne posted the fastest run of the day, a 50-minute, 55-second 12km, but it was not enough to prevent Weiss taking the tape. 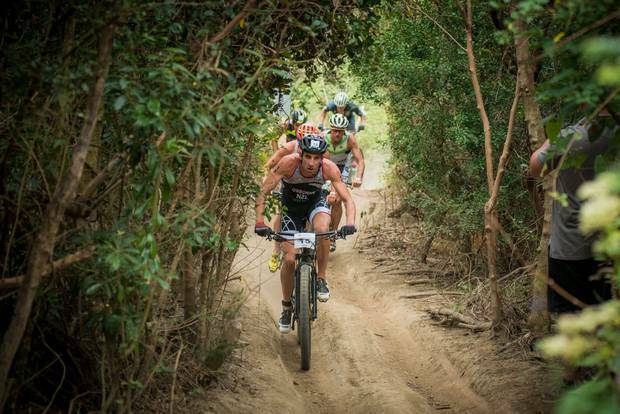 The pair were first and second at last year's Xterra Asia-Pacific Championship, and were second and third respectively, to Rom Akerson at the Xterra World Championship in Maui. "[Weiss] has some incredible early season form. To beat him I need to put myself a bit more in touch off the bike, so I can use my run to put him under a whole lot more pressure. "I haven't had a perfect run in, I've had to nurse a bad knee since my crash in the Snowy Mountains in Australia. But have adapted things well and my form is good. Absolutely very excited to be back racing again and locking myself straight into a great battle." He says the Taiwan course is "incredible". "Had some good technical sections through river beds but always followed by horrifically steep hills often with a lot of loose rock. It is one of the hilliest courses on the circuit in terms of elevation gain over distance and time covered." Osborne wasn't the only Rotorua athlete in action. Lewis Ryan finished sixth in the men's race in 2h 44m 20s. "It's very cool to see another young fella out of home coming to play on the world tour. Lewis put himself well in the game early on," Osborne says. Meanwhile, in the women's race, Samantha Kingsford was fourth in 3h 11m 21s and Lydia Hale was seventh in 3h 20m 54s. 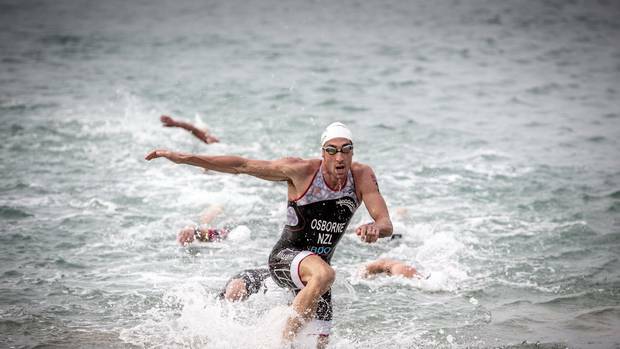 Attention now turns to Xterra New Zealand, being held in Rotorua this weekend, in which Osborne is the defending champion.